End the Shariah War on Women | The Story of S.D. The husband, MJR, married SD when she was only seventeen years old. She had never met him before – it was an “arranged” marriage, which is to say for the woman it was a forced marriage with little or no say on her part. The case of S.D. v. M.J.R. is perhaps one of the best known Shariah law cases. We don’t know their real names, but both were citizens of Morocco in the U.S. as legal residents, so they had the same constitutional rights (other than the right to vote) that citizens have. One month after the marriage in Morocco, the couple settled in Bayonne New Jersey where MJR worked as an accountant – on August 29, 2008. SD was given a second test by her husband two weeks later on November 16, 2008, when he announced in the afternoon that he would have guests arriving at 9:00 pm that night, and that she should prepare supper for them. When she replied that she did not know how to cook, he brought his mother to the house to cook, and her mother-in-law refused her offers to help cook. SD retreated to the bedroom and in anger pushed papers from a desk onto the floor. At midnight, her husband came into the room, locked the door and again abused her physically, stating “Now we’re going to start punishing you.” Although she was in great pain, he also raped her, over a period of two to three hours. On November 22, 2008, the teenage SD argued with her mother-in-law and locked her self in the bedroom. MJR removed the latch from the door and raped her, afterwards leaving the apartment with his mother and sister. 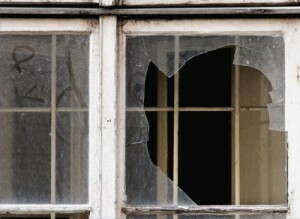 SD then, left alone but unable to leave, broke two of the windows in the bedroom. When MJR returned at 4:00 p.m., she tried to escape the apartment, but he “pulled her back into the bedroom and assaulted her by repeatedly slapping her face, causing her lip to swell and bleeding to occur,” according to the transcript. He left the room, and she escaped through the unbroken window without shoes and with only the clothes on her back. Outside, she was found and taken to Christ Hospital in Jersey City, where she was treated and Hudson County Prosecutors interviewed her and took photos of her injuries. Her care was given over to a Moroccan (presumably Muslim) nurse at the hospital with whom she lived until January 15, 2009. But on December 22, 2008, SD found out she was pregnant. The Moroccan nurse took her to meet with the Imam of the local mosque, who “reconciled” the couple based on a promise that MJR would stop beating SD and that his mother live elsewhere. It is not clear from the record whether SD agreed to this “reconciliation.” She continued to try to escape the marriage. The judge vacated the earlier temporary restraining orders, dismissed the domestic violence action, and states that her injuries were “not severe.” The judge stated that divorce proceedings would proceed in Morocco. Since SD’s baby was due in August, questions of child custody and child support would also have to be litigated in Morocco. If she returned to Morocco, she would have far less protection for her own rights or her child’s rights. SD appealed to a Superior Court, with the help of two women lawyers – Jennifer Donnelly and Michelle McBrian. She also applied to stay in the U.S., as a victim of domestic violence. The case was finally decided by the Appeals court on July 23, 2010. The Superior court reversed the lower court’s decision, and put the restraining order back in place to protect SD from her husband. We do not know what happened to SD and her child – whether she lives now in the U.S. or was forced to return to Morocco. But she fought back and in the end won her legal case against tremendous odds – having to fight for her independence from her own family that arranged her marriage, her husband who beat her, her mother-in-law, the Moroccan nurse who took her to the Imam who returned her to her husband, and worst of all, the American judge who accepted Shariah legal principles in denying her equal protection under the law. No teenage girl should have to endure what she went through. Sadly, millions of young women – among the 1.3 billion Muslims worldwide – are forced into marriages they don’t want, and subjected to abuse under Shariah doctrine in the Shariah war on women. It’s time to ask our leaders to stop supporting organizations and governments that are waging the Shariah War on Women.